This cattle whip has been brought from Angola to Germany in 1959. It has a thong made of several layers of leather simply sewn together. 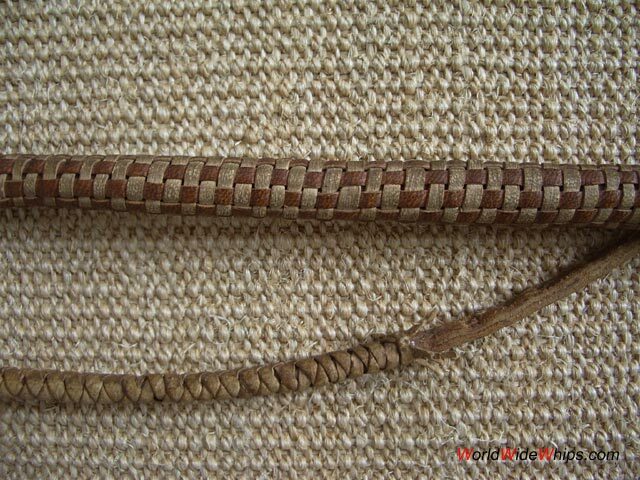 The handle is covered with plaited leather. 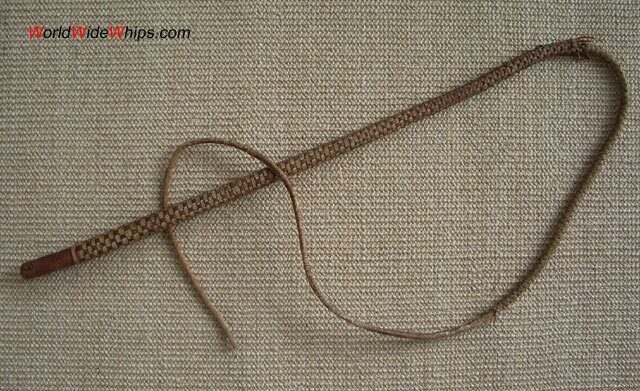 The thicker part of the thong also has a plaited overlay.